Considering purchasing the Pioneer XDJ-RX2? Have questions? Ask people who've recently bought one. When using the RX2 with Rekordbox DJ software do the waveforms now appear on the XDJ RX2? Yes the waveforms now do appear on the RX2 with needle search function within the touch screen. Hi Andy, all USB ports are powered (5V) and you can easily use an external hard disk as long as it's a 2.5" one that doesn't need a separate power supply. can I use a 1tb hardrive in the usb slot? Are there any available stands for the RX2? I'm not sure, I was going to look myself just haven't got round to it. A stand is definitely needed as it'll be too low down on most tables. If I run turntables through the RX2, do all the effects as well as the BPM work when it is used as a stand alone? Has it got a digital line out? 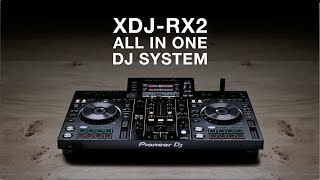 Would I be able to trade my xdj-rx for the new xdj-rx Rx 2? It's in mint condition. Sorry we don't offer part exchange at the moment. Might be worth selling your unit on Ebay should get a good value if it is good condition. Do you own the Pioneer XDJ-RX2? Why not write a review based on your experience with it. Not for mobile djs who want to perform all genres of music. Okay..... where do I start, I live this controller and I’m very biased towards it, I would say it’s for an intermediate DJ, It’s very simple to use for a beginner but they may get lost in some features, I started out on a SB3 but within a few months wanted something abit more substantial, and I found that in the RX2, it has a fantastic sounding sound card and a brilliant display, worth its weight in gold! Blown away with the quality of this bit of kit, i was toying with the idea of buying to NEXUS 900's but the RX2 had many more features than the 900s was a considerable amount different in price. The only thing i would possibly say about this unit is the dog wheels are not like CDj's in terms of their very light! It has everything I needed for my pub. Enough out puts, good quality sound, very easy to use. 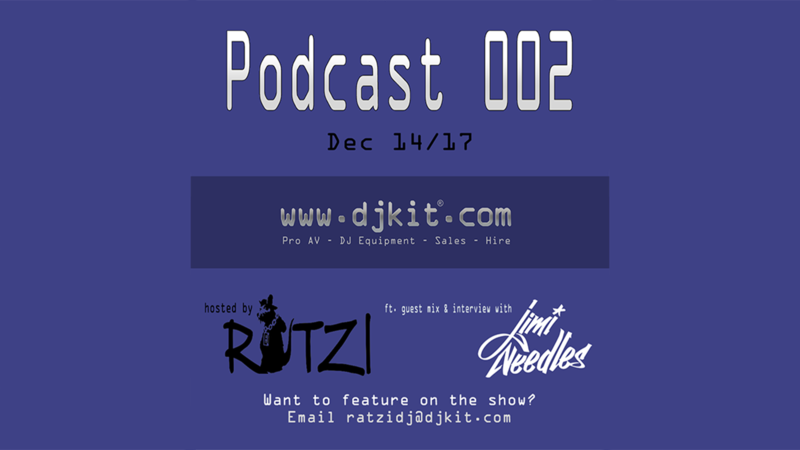 DJs who are more used to Nexus CDJs will be able to use it. It can even be used with my Technics 2010s and has a better sound than my older Pioneer DJM 600s. Perfect and, for the price, extremely good value for money. Absolutely great piece of kit and the service from DJ Kit was first rate. Well done guys. I was contemplating either buying a pair of XDJ-700'S & a DJM-250 MK 2 or the RX2. After playing on the RX2 in the DJ'kit shop I was totally in awe of this piece of kit. The build quality is superb, and with so many features for the price it was a no brainer, I love the options to just use my music on USB sticks as apposed to a connected laptop, (you use Rekordbox to prepare your tracks and use the handy sync software to keep them upto date, perfect). I did my first gig on the following Saturday and it truely lived up to expectations and more, I found using the built in screen so much more easier to mix tracks with and manage what I wanted to play that using a laptop screen. I love the microphone controls especially the music talk over which will work so well when i'm out from behind my booth. I think Pioneer have shot themselves in the foot with RX2 as it has so many features simliar to the more top of the range CDJ'S for a more affordable price. Top marks Pioneer, just blown away with the RX2. Don't take my word for it, try is out at DJ'kit and I can guarantee you will want it if you are looking to upgrade your controller/player. Thank you DJ'kit. I bought this because I didn’t want to bring CDJ’s to mobile gigs. This controller feels almost like the CDJ 2000 Nexus 2. This is an amazing piece of equipment!! The overall product is honestly fantastic. -It is easy to set up -Very responsive -User friendly -Looks great -Has all the main functions you need, to DJ! I love this controller! So much functionality with no laptop, amazing! DJ Kit you were fantastic as always! Thank again! Great bit of kit, love it. Great custmoer service and advice. I give it four stars..I didn't expect 4 channels but I expected more effects and different effects and more Pioneering for the time we waited for this to arrive. Basically they took stuff they already had on other units and threw it at this one..Not much new is happening here..for the price anyway.. It is no doubt expensive unit and if you already have RX1 you will not gain much getting RX2. 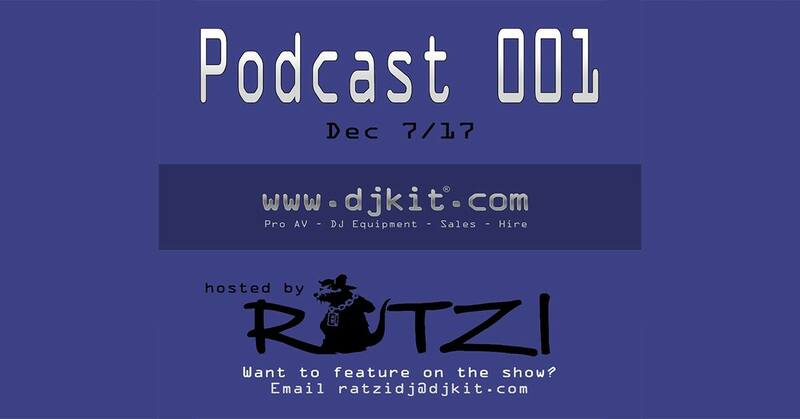 Djkit my be reluctant to release this review but as a consumer I only express my honest opinion. So my heart is not happy as expected. On the positive side and if you don't have RX1 and have money for this you will probably be very happy since it's a decent piece of gear. 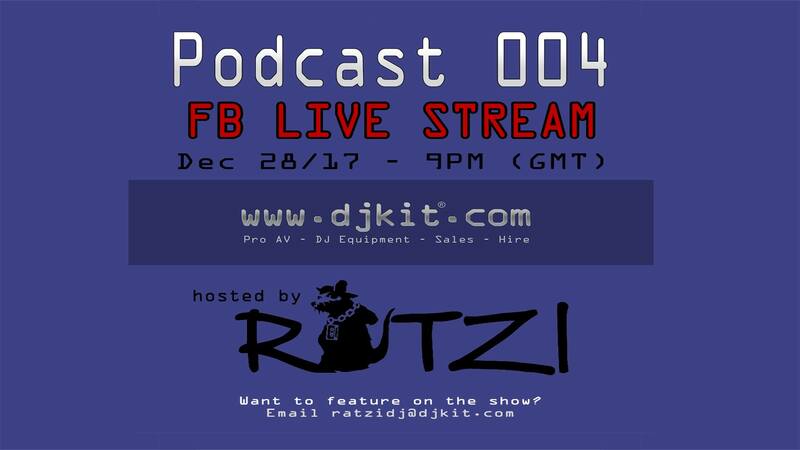 It will get you as close to professional Pioneer dj gear as it gets. In 2017 thought I expected the touch screen to be like a mobile phone..just like on the denon prime series - that is something else... it's not happening with RX2 but hey they don't have it on their flagship player neither soo..perhaps RX3 in the future ?? Great all in one solution for home that is very familiar to the the pro NXS2 set up - just lacks the feel/adjustment of the platters. However excellent value!!!! very good quality, very happy with it. Exceeded expectations, what a piece of kit, awesome. 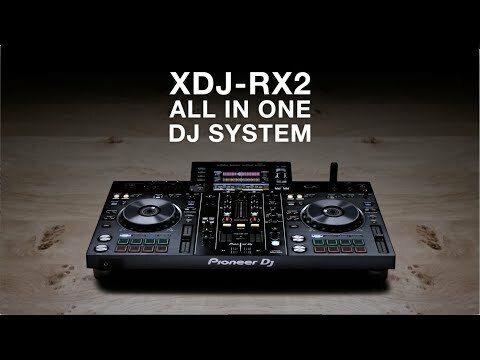 Seen a video for Pioneer XDJ-RX2 online or have you own video? You will earn 3,058 loyalty points with this product worth £7.65, when logged in. 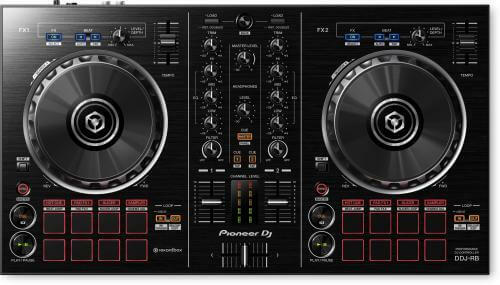 Check out Pioneer XDJ-RX2 on DJkit.com!